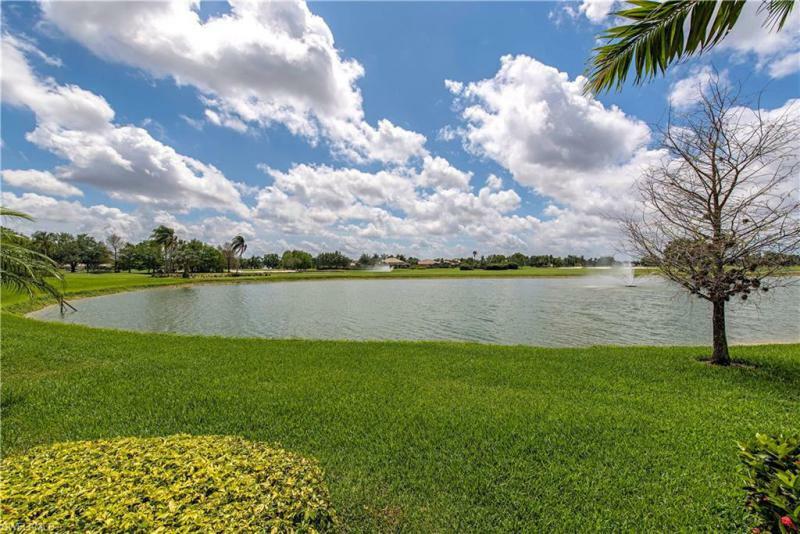 With panoramic views of the south golf course and lake, the expansive lanai gives you ultimate privacy and tranquility. This grand 4 bedroom, 3 full bathroom home is thoughtfully laid out to to entertain guests, while still allowing for privacy. Newer cabinets and granite counters are in the kitchen and bathrooms as well as frameless showers and travertine tile floors. Bedrooms have newer carpet and paint, while crown molding accents throughout the home. Pool heater and equipment, as well as the tile roof are less than four years old. Vineyards award-wining 70,000 sq. Ft. Clubhouse and amenities are some of the best! 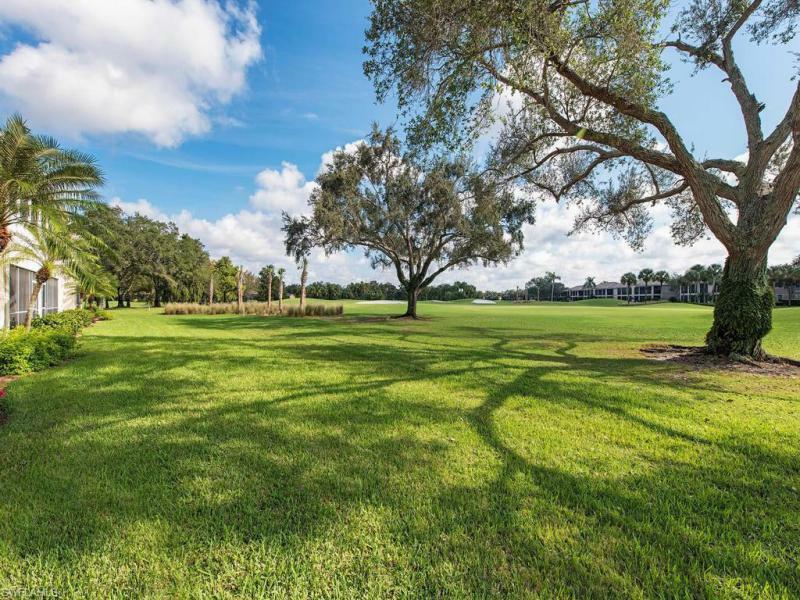 Optional are the two, 18 hole golf courses, upscale, casual and pool side dining, 12 har-tru tennis courts, 3 bocce courts, pickle ball, banquet and reception facilities, health and fitness center, full service day spa, and more. Lastly, vineyards is not a cdd community. Single family lifestyle with the ease of condo living. Beautifully maintained immaculate home with three bedrooms plus a den, two and one-half baths and a two car garage. Thoughtful upgrades throughout the home include cherry cabinets in the kitchen, hardwood floors in the entrance way, den and hall and storm shutters. Community pool and spa add to this home's desirability with none of the hassle of maintenance! Fiber optic integration to support high definition tv, next generation internet, and carrier class telephone services included in association quarterly fees. C. 15498 - rarely available, offered by original owners turnkey furnished, first floor corner unit with long 14th fairway views and attached one car garage. This three bedroom and two bath unit has neutral color palette with tile in kitchen and entry hallway, beige carpet in bedrooms and living / dining area. The master bedroom and bath with dual sinks, shower and soaking tub are separated from the guest bedrooms and bath. Closets abound in this condo; the master bedroom has a walk-in and hanging closet and there are full closets in all bedrooms and a storage closet by the front door. This unit features lots of light with large windows on the side and back. The lanai is screen enclosed with a access door to the garden area outside, convenient for pet owners, and shutters for security and privacy. Seller is providing a 1 year home warranty to the buyer. The community pool and guest parking area are directly across the street. In the vineyards, the quarterly association dues include fiber optic integration supporting high definition tv, high speed internet service and landline phone service. Vineyards country club optional membership. C. 16119 beautiful botticelli unit. Many upgrades. All new tile floors throughout the unit. Electric hurricane shutters on lanai, new light fixtures throughout. 4 interior modern fans. Two exterior electric hurricane shutters. You don't have to do a thing, just move in and enjoy the social activities in the avellino community. Enjoy the beautiful club house which is being redecorated. Swim in the olympic size pool and grill your dinner on the patio. What more could one dream of!! !